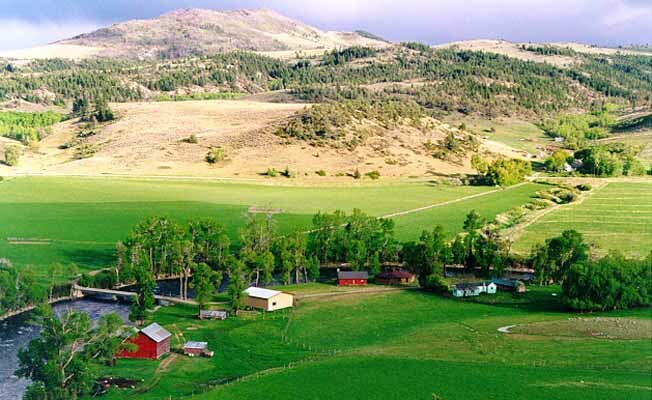 CWC Ranch is a 761 acre working cattle ranch. The Boulder River (one of Montana's best fly fishing rivers) is the eastern boundary of the ranch and offers approximately two miles of easy fishing access. The rainbow, brown, and native cutthroat trout are guaranteed wild. The ranch house and restored homestead cabin are 60 yards from the river. The ranch house has two bedrooms (comfortably accommodates six people) and the log cabin has one bedroom (accommodations for three). Both houses have bathrooms with tub/shower, fully equipped kitchens, TVs, free long distance phone service, high speed internet access, and living rooms. Quoted rates are based on house occupancy. The Boulder River drainage is a treasure house for hiking and viewing wildlife including: animals, birds, plants, and wildflowers. Convenient day trips can be planned north to the Yellowstone River and the Crazy Mountains or south to the Natural Bridge, Boulder River Falls, the Gallatin National Forest, and the Absaroka Beartooth Wilderness. For further information call (406) 932-4359.